You need a quality fabric dye, a few different sized enameled pot, two wooden sticks or special tongs made of wood, salt and soda to soften the water, vinegar to fix the color on some fabrics. Prepare dishes in which you paint things. Ideal for this procedure perfect clean enamel basin or pan. Water is better to take soft, if not, then soften hard water soda. To turn things better with wooden sticks.Dissolve the prepared dye in a small amount of boiled water in a shallow bowl. You should get a paste-like solution without lumps. Then add hot boiled water from calculation of a pint of water per package of dye. The resulting solution, strain and pour into a bowl for dyeing, pre-filled with warm water. Prepared for staining thing soak in warm water, then wring out and straighten. It is necessary for more rapid and uniform staining of all tissue. Then dip it into the solution. To paint acted exactly the same, often turn the thing with a stick. Painted the thing must be rinsed in warm water until until the rinse water is clear. Then rinse in cold water. Silk products it is better to rinse in a vinegar solution. Then things you need to carefully squeeze, straighten and dry, lay on a towel. If you are painting products from cotton, linen or artificial silk, it is necessary after soaking, leave the solution to boil. Fifteen minutes after boiling, pour in the dye solution of the salt at the rate of two tablespoons of salt per packet of dye and simmer for another thirty minutes. Then keep the stuff in solution even for half an hour and take them out. Let the dye drain out, and rinse thoroughly. But when painting things from natural silk, after adding salt it is necessary to heat the solution for forty minutes. Then give him half an hour to stand up, take out the stuff and rinse. Woolen garments require more careful painting, so in this case the salt solution was added a small amount of bite. After boiling, you must wait for complete cooling of the solution. Do not forget to constantly stir the fabric. It happens that your favorite outfit fade in the sun or over time loses its original color. Can dye clothes with their hands. Try to refresh or completely change the tone of the fabric through industrial or natural dye. Read the information on the label of the product. To the dyeing of clothes was successful, it is important to know the material of making clothes. 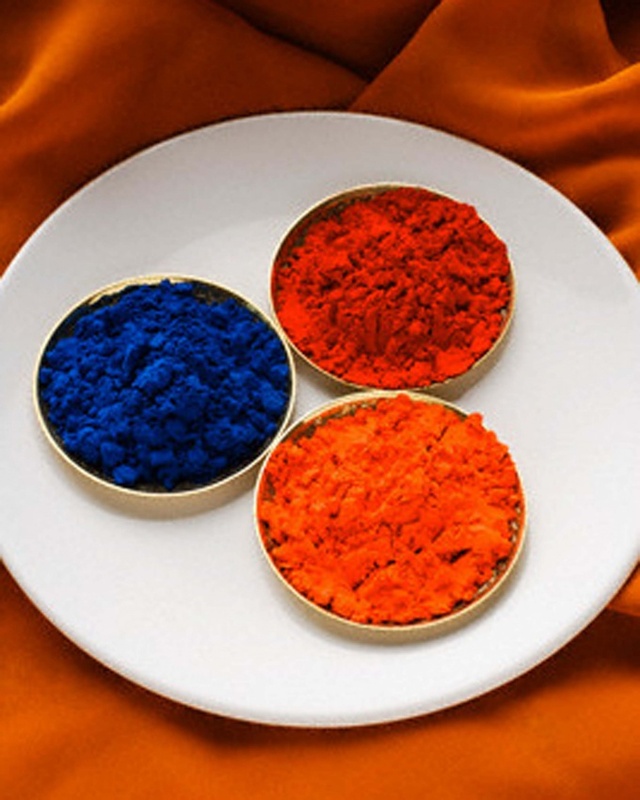 • Industrial dyes are suitable for cotton, linen, wool, silk and certain synthetic fabrics (nylon, nylon). • Good added the action of the dye rayon is a material created artificially, but from natural cellulose. • Clothes made of mixed fibres is usually painted with a mixture of colors for cotton (linen) and nylon. • Is the fabric (such as Dacron), which are colored with difficulty. Ask seller household chemicals and a consultant to the textile Department on the selection of paint. Try to go to a specialized outlet for designers and artists. They have a large selection of paints for a fabric, including delicate materials. Weigh some dry clothes before painting. On the instructions of the dye must be labeled, what is the weight of dry fabric it is (usually 1 sachet of 400 g.). If you want to increase the depth of tone, you can add a little more paint. Wash clothes and remove all stains so that the new color turned out uniform. Then soak the item in warm water. A thin cloth is recommended to rinse first in a solution of ammonia (2 tablespoons in a bucket of water, then in clean water. Cook in a large capacity paint for fabric as described in this manual. Lower it thing, over medium heat and bring to a boil. Turn the clothes as thoroughly as possible. Simmer for 20 minutes. Lift the cloth with forceps for linen and pour in the fixing solution of the salt: 50 g per 2 l of water. Another 15 minutes boil, then remove the receptacle from the heat and keep your clothes in hot solution to cool. Don't forget to flip her over. Remove the clothes from the cooled dye, and let the liquid drain out. Painted rinse the thing in warm water until it becomes completely clean. Finally, rinse in cold water with 2 teaspoons of vinegar – this will fix the color. Place the item between two pieces of thick cloth and knead it into "sausage". Gently wring out, without twisting. Dry the product at room temperature, away from direct sunlight and heating devices. In any case, do not leave it wet in the basin, not commite! After painting easy, the product should just hang on a clothesline in the expanded state. Fabric with a brushed surface, better spread out horizontally. It is important that the clothes appeared unsightly stains. Choose a natural dye, if you are afraid to confide in industrial paint. This choice is especially important if you are going to paint baby clothes. • Clothing beige or brown, you can soak and rinse in strong filtered coffee or tea. • Black and brown clothes, you can freshen up, soak in filtered extracts of tobacco (3 tsp per liter of boiling water). You can just wipe the thing with a brush, soaking it in a solution of tobacco. • Yellow or green cloth soaked for 6-8 hours in a broth of onion peel and boil it for another 4 hours. You can also use a decoction of yarrow. • Blue outfits try to paint a decoction of elderberry, lilac and pink – St. John's wort, and red – sedge. Make sure to try the dye on a small shred of your clothes! Then make the decision about painting the whole thing. So it is possible to pick up the dye, its amount, and to clarify the various stages of coloring. Black clothes, no matter what material it's made of, tends to fade, victoriathis and eventually to wither. And now your best shirt after a few washings became not black, but dark gray, for example, and to leave them so you do not want. To return to your favorite things the same, it is possible to self-color at home. Will buy in any store in your city or order online dye clothing black in color. See below tube enough for painting. For example, a skirt will take 300 g of paint, and on jeans - 600 g, but it is best to buy a stock. Typically producers of paints for things produce bottles with capacity from 500 to 750 g.
Thoroughly check your item for painting. It should be without stains or other chemical or mechanical damage. In any case, it can pre-wash, just do not use the conditioner. Now turn the thing inside out, put it unfolded into the washing machine, and on top spread the paint. Then, set the desired temperature (look on the label). The clothes should be washed at a temperature of 30 degrees, usually successfully dyed at the same temperature. At the same time products which can be washed at a temperature of 40-95 degrees, the paint should be at a temperature not above 40 degrees. Now select the mode best suited for clothing that does not require special care, and start to erase all the cycles rinse and spin. Then, to avoid further shedding again wash colored clothes in the washing machine at a maximum temperature allowable for this stuff (look on the label) and using this time washing powder. Unfortunately, not all things can be restored using dyes. It is best to dye at home give fabrics made from natural fibers or synthetics, but not more than 50%. Other products made from polyamide, polyester or polyacrylate, it is better not to paint. Most likely, the dye is distributed unevenly, absorbed, and will soon shed. When choosing paint for dyeing faded clothes, don't skimp. Try to purchase high-quality coloring tool to preserve color fastness of your clothing. It is often possible to deal with the fact that the black stuff after a few washes lose brightness of color and turn grey. Did you know that black things can be given a "second life"? To correctly and accurately paint the clothing in black is not easy, but it is possible even at home. - pair of rubber gloves. Pre-wash and dry the thing. Prepare it for dyeing. For this fight back all metal buttons, buckles and hooks to ensure that in the process of painting is not formed rusty spots. If the painted thing with lining, podposite it in several places that the thing does not pop up to the surface in the dyeing process. Take an enamel bowl in which the painting will be made. Fill it with pre-boiled warm water at a temperature of 40-50°C. Wear rubber gloves and prepare the dye solution. To do this, pour it into a small container and, stirring constantly, pour boiled warm water until dissolved and formation of a dense homogeneous mass. Not stopping to stir, add part of the boiled hot water for 1 sachet of dye 0.5 liters of water. The resulting solution strain through a cloth, pour into prepared dish, filled with warm water. Again mix everything carefully. Before you paint the thing, soak it in warm water, squeeze lightly, flatten and dip in the dye solution. Using two wooden sticks to turn the product, straighten the folds. Painted thing rinse thoroughly in lukewarm water until until the water is clean. Then rinse the item in cold water, wring and dry it. Remember that the garments of artificial silk, fiberglass, and some other synthetic materials (acrylic, chlorine) it is absolutely impossible to paint black or any other color. Try to carry out the dyeing of such products is a waste of time. The utensils used for dyeing should not only be clean but also big enough thing in it lay freely at the time the painting was covered with dye solution. The more dye solution in the tank, the better and smoother will turn thing.